Everything about this trip was perfect. Easy reservation experience. Instructions on what to expect on the trip and how to pack were "spot on". The guides were very professional and fun. 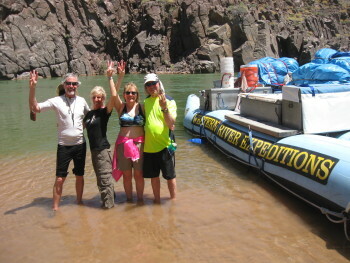 Before the trip I was a little worried about rafting down the Colorado River, but the guides were so knowledge and skilled that my worries were quickly put to rest on Day 1.